Enhance your SketchUp Renderings with Plant and material libraries. Select IRender nXt Libraries from the right of the first row of downloads. 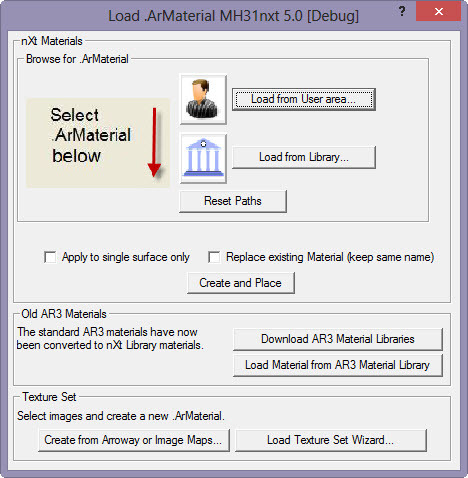 AR3 materials converted to nXT .ArMaterial file format. 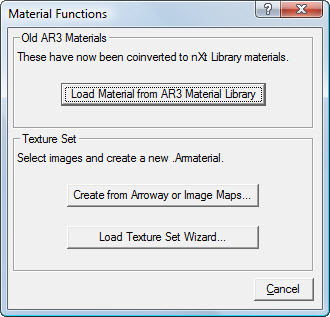 New .ArMaterial files created for nXt. 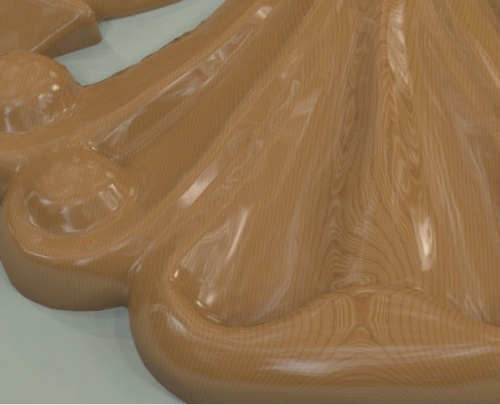 There are more than 5,000 materials in the nXt Material library. You can select any material from the library and place it on a SketchUp face to create a similar SketchUp material. In many cases the SketchUp material is an approximation of the full fractal material which will be created when you render the model. Download the Libraries and install them on your computer. 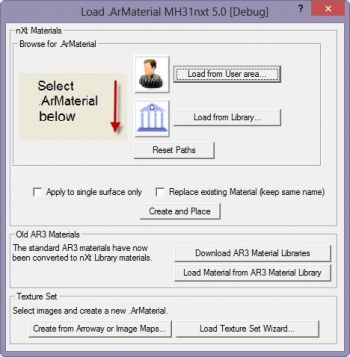 The Material Libraries contain AccuRender AR3 libraries converted to nXt (.ArMaterial) format as well as new materials created for nXt. Some of these materials are "Solid" - such as the solid wood materials - which don't repeat and work better with sculpted surfaces. 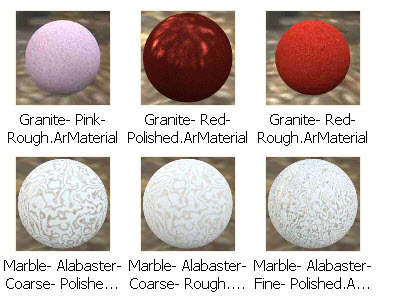 Arroway has made about 100 lo-res versions of their texture available to IRender nXt users and wehave converted these into .Armaterial materials in the IRender nXt Libraries. Arroway is providing these sample textures in the hopes that you will like them well enough to purchase the hi-res versions. Select Load from Library... to open the library of nXt Materials. Select the category and material desired. Turn on thumbnails in the browser if you want to see samples of each material as you load it. After selecting a .ArMaterial file, the image will appear and the size of the SketchUp texture it will generate. Click Create and Place to create a SketchUp material and place it on surfaces. Apply to single surface only: If checked, when placing a material, only the surface directly clicked on will receive the new material. 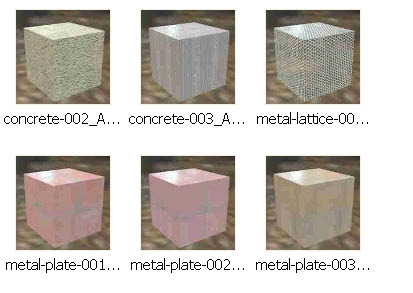 Otherwise, all surfaces in the same component or group that had the same material beforehand will be changed as well. Replace Material (keep name) - When you check 'Replace Material (keep name)' then the exiting material name is retained. The properties are changed to match the library material. This keeps the same name, and automatically changes the appearance of the material on all faces which have original material assigned to them. This is especially useful with Material Styles . See also: Replace Material . Edit .ArMaterial - loads the material into the Advanced material editor to make changes. Reset Paths - resets the default User and Library paths for selecting materials. More Functions loads a dialog of additional material functions. About 30 new RpTreeMaker plants. The are in addition to the more than 500 plants in the old AR3/AR4 plants which also work with IRender nXt. 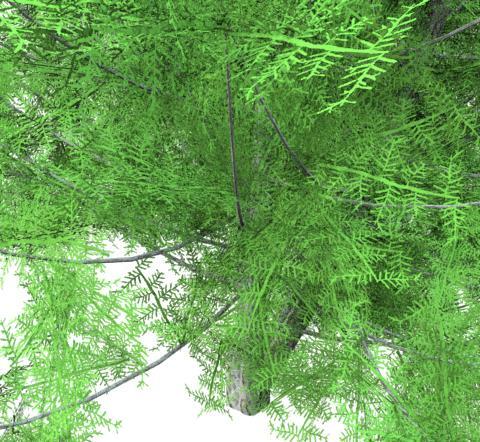 These are 'fractal' plants - meaning that detail is relative to the resolution of your image. Each plant is generated differently which automatically creates a realistic effect when using multiple instances of the same plant. Create SketchUp components to represent IRender nXt plants. These are then automatically rendered as 'fractal' plants. The Plant Libraries contain various pre-made RpTreeMaker plants which can be used directly with IRender nXt. These libraries are stored in the nXt_Materials folder in your Libraries folder. Select Load from Library... to open the library of nXt Plants. Turn on thumbnails if you want to see samples of each material as you load it.